Featuring brand new short stories from Kevin Barry, Eimear McBride, Belinda McKeon, Lisa McInerney, Danielle McLaughlin, Stuart Neville, Sally Rooney, Kit de Waal and many more. Ireland is going through a golden age of writing: that has never been more apparent. I wanted to capture something of the energy of this explosion, in all its variousness... Following her own acclaimed short-story collection, Multitudes, Lucy Caldwell guest-edits the sixth volume of Faber's long-running series of all new Irish short stories, continuing the work of the late David Marcus and subsequent guest editors, Joseph O'Connor, Kevin Barry and Deirdre Madden. 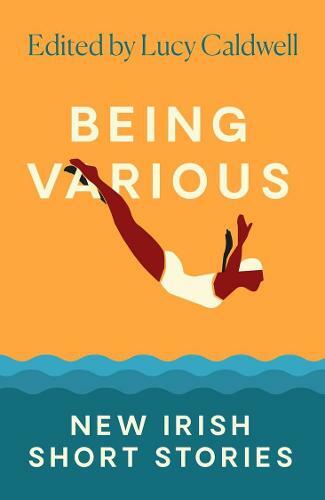 Hodges Figgis and Faber & Faber invite you to celebrate the Launch of "Being Various: New Irish Short Stories" Edited by Lucy Caldwell Thursday May 2nd 2019- 6-8pm. All Welcome!